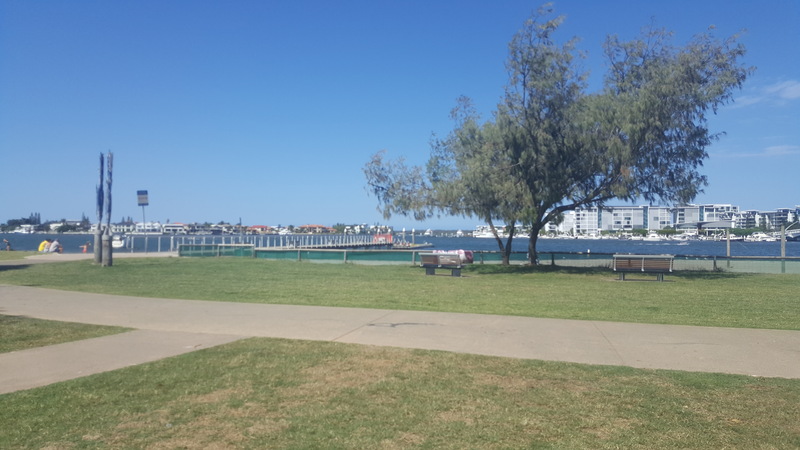 Paradise Point Parklands would have to be on my personal favourites on the Gold Coast for swimming, having a barbeque and just chilling out at the park. 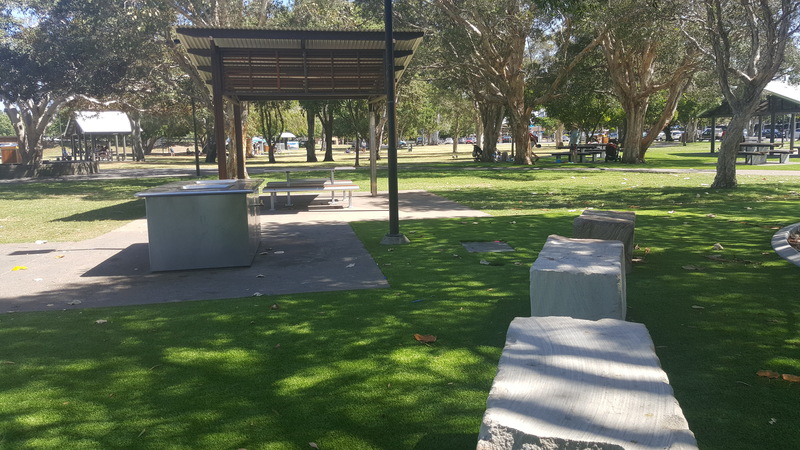 The parklands are located around 30 Minutes from the Gold Coast centre, away from the intense crowd that Gold Coast Beaches often draw on the weekend. The Parklands have a great playground, Toilets, plenty of seating and even some fake turf area for when the grass is not so soft in the dry season. If you are planning to swim you can access a netted swimming area which is big enough to share with the weekend crowd. While you are swimming or sitting the backdrop is full of boats and Jetskis speeding past, making tiny waves for the kids to play in. 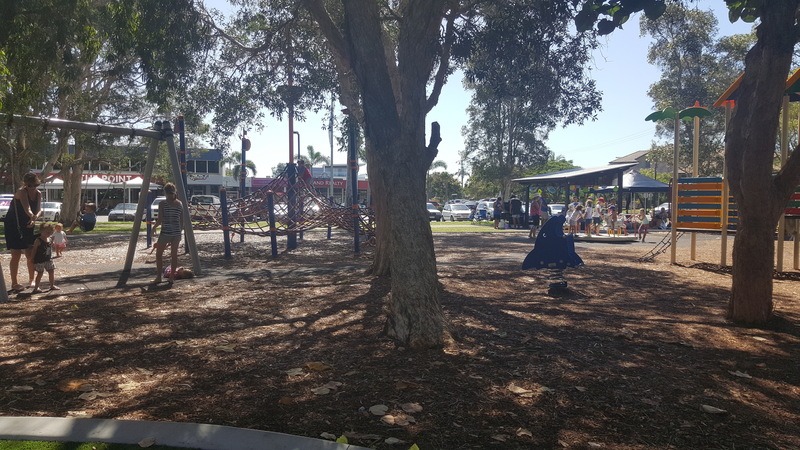 Our visits to Paradise Point Parklands usually last for around 4 hours and are well worth the drive from South Brisbane. I have always been able to get a parking spot reasonably close to the park. The Parklands host an extremely popular New Years eve event every year which has raving reviews about the food & fireworks. On Saturdays a free Park Run is hosted, Details HERE.